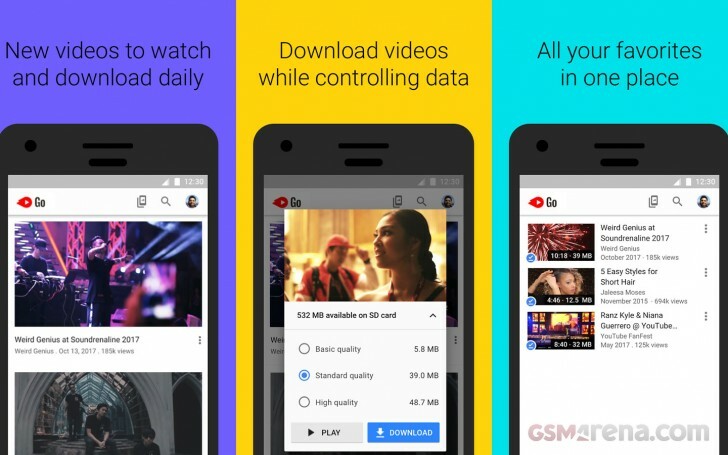 YouTube Go is Google’s way of ensuring that even those who can’t access a mobile data connection as freely as others in more developed parts of the world can watch YouTube more freely. Google’s first initiative was to offer the ability to download videos for offline viewing later on the YouTube App. You can do this in other regions, however, a YouTube RED subscription is required. YouTube Go is a lightweight version of the YouTube App whose Beta launched back in April of this year for India. The app is no longer in Beta and has a stable and public release on the Play Store in India and Indonesia. You can download videos from YouTube onto the storage of an Android device. A really nice feature is the ability to share offline YouTube videos with nearby friends via a combination of Bluetooth and Wi-Fi Direct. Similar to how the recently (and accidentally) release Beta of Google’s Files Go app finds nearby recipients to share files with. The YouTube Go Beta offered two video resolutions when it first launched: 144p and 360p. There are three resolution options in the public release of YouTube Go, which adds 480p in addition to 144p and 360p. We expect the app to gradually roll out to more countries. Otherwise, you can head to APK Mirror and side load the app as well.